These telescopes had been focused on two black holes, one at the heart of our Milky Way galaxy – known as Sagittarius A (SgrA) – and another – known as M87 – which is almost 54 million light years away. The images of course do not show a black hole itself as any light which would make it visible would be swallowed. 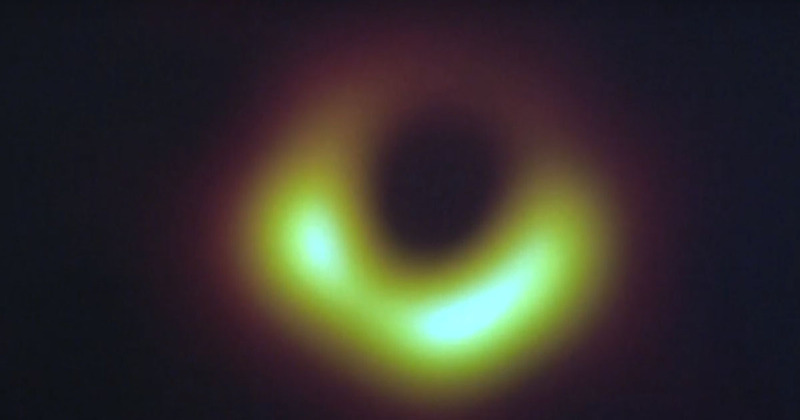 We can however see the event horizon around the brink of the hole, something scientists have been trying to do for years. Located 26,000 light years away from planet earth, SgrA is thought to measure over 22 million kilometres in width. Meanwhile, M87 shoots out a notably fast jet consisting of charged subatomic particles, stretching for approximately 5,000 light years. After further investigation, scientists came to understand that the object itself was not bright and was in fact completely black. Indeed, the brightness came from gas and plasma located around the edge of the structure, which we now know to be a black hole. Einstein’s theory of general relativity concerns laws of nature on cosmic scales, while quantum mechanics is in regard to subatomic particles where there is the possibility of being in more than one place at once. These two bodies of thought have previously been considered to be fundamentally opposed. General relativity as it is and quantum mechanics as it is are incompatible with each other. What a fascinating and important step forward. Many congratulations to team EHT on their hard work paying off!